who are looking to grow and develop. As a general rule of thumb, I tell all of my clients, keep ANY receipts that are business related, depending on your business that can include petrol, stamps, stationery, computer hardware and software, materials, professional fees or subscriptions you may have, mobile phone, I could go on and on. Don’t forget to print a receipt for the cost of even coming here or to any other networking event. You also need copies of all of your bank statements, credit card statements (if you use one for your business) and paypal account statements. (NB: when it comes to bank accounts etc, it is advisable to have a separate account for your business, HMRC like it and it will make your bookkeeping easier as well). Keep copies of all of your sales and any credits you may have issued. My moto, if in doubt, hang on to it. If you have an accountant, then you could ask them if you need it or simply include it with the paperwork you send to them when it is time to do your accounts and they can help you to determine whether you need it or can claim it. So, now that I have left you all with a huge pile of papers, you ask: ‘What do I do with all of this now?’ Well, the short answer is file it. I have seen lots of filing systems over the years and in my experience, the more simple the system, the easier it is for you or anyone else to come in and find what you need. If like me, you like to keep paper copies of everything, get yourself a file (or more than one if needed) and a set of dividers, you may need more than one if you have lots of papers. Label your dividers with a different section for Sales, Purchases, Bank Statements, Credit Card Statements, Paypal Account, payroll (if you need it) & VAT (if you are registered). And use this to put all of your papers away. 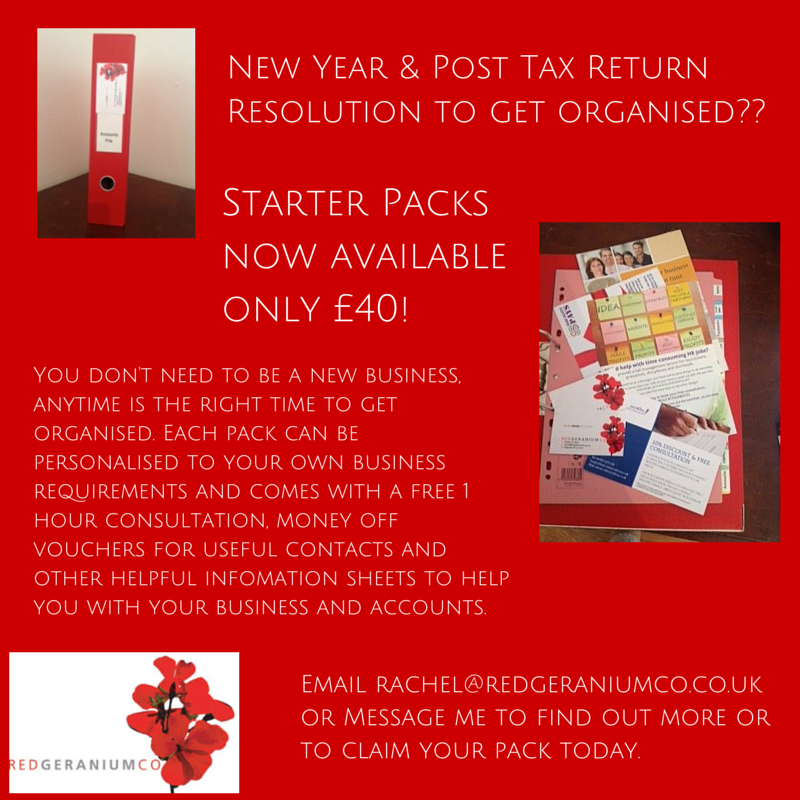 I offer pre-setup folders to new/prospective clients along with a consultation for £40. The key to getting this right is to develop a means of filing everything so that you can easily find what you want if you should need it. We have all been there, a customer or supplier rings up with a question about a particular invoice, you then spend the next hour finding said piece of paper that is hidden somewhere in a huge pile of papers, a good filing system will put a stop to that waste of time. Time where you could be doing something more productive for your business (making sales, promotion, blog writing, whatever it may be). Personally, I file my sales invoices by invoice number but, if you don’t use invoice numbers go by date, or you could even do it alphabetically by customer if you prefer. My purchases are put in date order and each are numbered consecutively in the top right had corner. Again, if you wish you could file your purchases alphabetically by supplier name. The point is, regardless of HOW you file your papers, do it in a way which is meaningful to you so that you can find what you are looking for quickly and easily. For the paper-phobics out there, use the same principle for filing but do it electronically. Set up a folder for your bookkeeping and then a separate folder for sales, purchases, bank etc etc. Place all your invoices (whether emailed to you or scanned into your computer) into the relevant folder on your computer. Again, using a numbering system for your document name is useful or a combination of numbers and name. Keep it simple, the easier it is, the easier you will find what you need. In case you are worried about the HMRC stance, they now happily will accept an electronic version of filing so you don’t need to worry about having paper copies of everything. In terms of how long you need to keep your records (electronic or paper) HMRC states ‘You must keep your records for at least 5 years after 31 January of the relevant tax year’ This is because if you are investigated by HMRC then they have the right to go back over tax returns for 6 years. Now, they don’t often go back that far unless they think they have discovered something untoward however, there is always a possibility. Red Geranium retains the copyright and all intellectual property rights in the contents of this website. Unauthorised use and/or duplication of the contents of this website without express and written permission from Red Geranium Co. is strictly prohibited. Excerpts and links may be used, provided that full and clear credit is given to Red Geranium Co. with appropriate and specific direction to the original content by way of web links. Copyright © 2019 Red Geranium Co. . All rights reserved.